Google’s (s goog) $12.5 billion bid for Motorola (s mmi) is about a lot of things, but one of the biggest assets in the deal is Motorola’s patent portfolio. That’s an important piece of protection for Android that Google and Motorola executives harped on during a conference call with analysts and reporters on Monday. Motorola Mobility CEO Sanjay Jha said his company has about 17,000 patents currently and another 7,500 patents pending. The deal shows that Google is following through on its commitment to add more protection for Android, which is becoming a sore spot for the company as rivals like Apple (s aapl), Microsoft (s msft) and Oracle (s orcl) target Google and its Android manufacturers over infringement claims. Google recently lost out on Nortel’s patents, which were eventually bought by Apple, Microsoft, Research In Motion (s rimm) and others, and has been in the hunt for InterDigital’s patent portfolio. The pick-up of Motorola gives the Android ecosystem a big piece of protection, but it comes with a pretty expensive price tag. Hi Ryan, I appreciate this article. Regarding the UBS chart, do you have the original citation for that? I’m looking to get some data on large licensing deals from the past 10 years, and I think that source may be helpful. Ryan, I appreciate the article here. Regarding the UBS chart you cited, do you have where that was originally published? 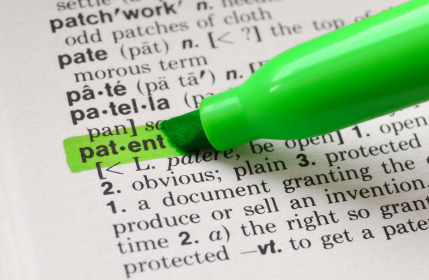 I’m looking to get my hands on something that details some of the biggest patent licensing deals generally, and I was hoping that source may be of help. Thanks. wow, horrible spelling mistake, “chart” not “chard”. 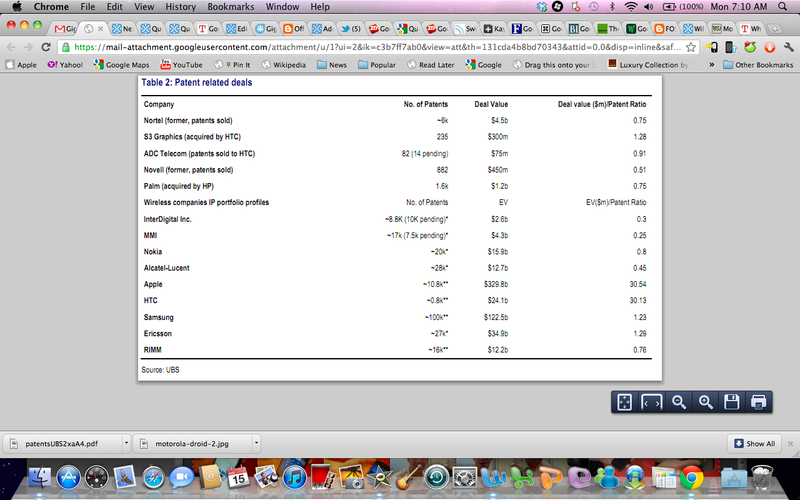 Also I think simply dumping the total number of patents these companies have is a little misleading. 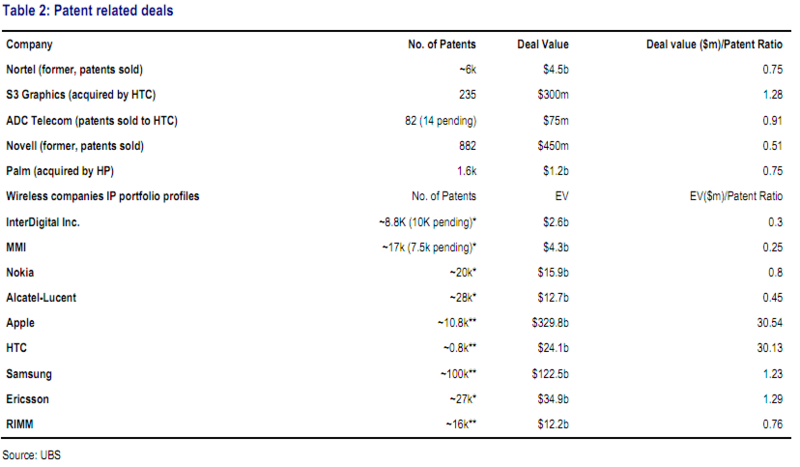 Out of curiosity and to better understand the chard, what do the * and ** refer to on the number of patents held by the various different companies?